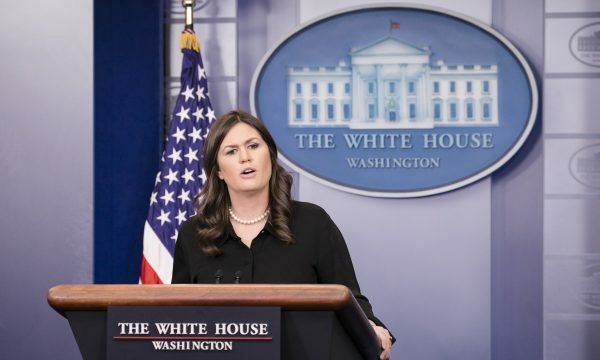 WASHINGTON—After days of to and fro on immigration from Democrats and Republicans, the White House said it will release its legislative framework on Monday, Jan. 29, according to a statement by press secretary Sarah Sanders on Jan. 24. She said the legislation represents a compromise that members of both parties can support and includes the four areas that both sides have agreed to negotiate—securing the border and closing legal loopholes, ending extended-family chain migration, canceling the visa lottery, and providing a permanent solution on Deferred Action for Childhood Arrivals (DACA). Senate Minority Leader Sen. Chuck Schumer (D-N.Y.) informed the White House on Sunday that he was rescinding the wall funding offer he made last Friday, according to a Politico report on Wednesday. President Donald Trump responded on Twitter, saying that without the wall, there will be no amnesty for DACA recipients. Sanders said on Jan. 23 that the president wants to see “at a minimum, in this first phase,” four principles addressed. The four principles being border security, an end to chain migration and the diversity visa lottery, and an amnesty for DACA recipients. Ending chain migration would involve moving to a merit-based immigration system in which hopeful immigrants would be awarded points based on factors that allow individuals to successfully assimilate and support themselves financially, including education level, English ability, and job skills. In October last year, the Trump outlined his priorities for sweeping immigration reform in exchange for giving legal status to the almost 700,000 DACA recipients. The “border security” part of the current negotiations is vague, and will likely be where things get stuck, assuming they get past the wall. 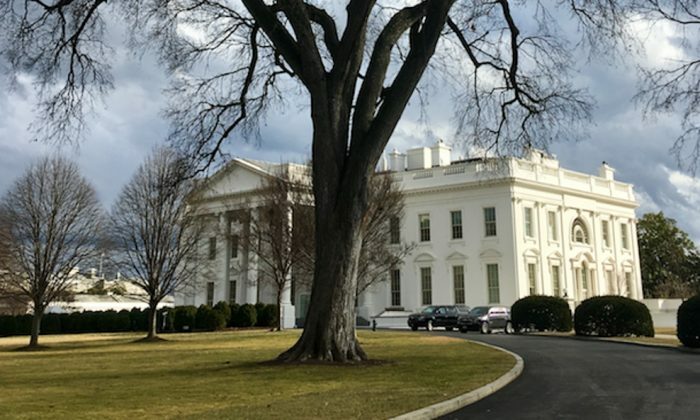 It is unclear whether several of Trump’s priorities in October are part of the current negotiations, including the introduction of mandatory e-verify, which proponents say is critical to stopping the continual flow of illegal immigrants. 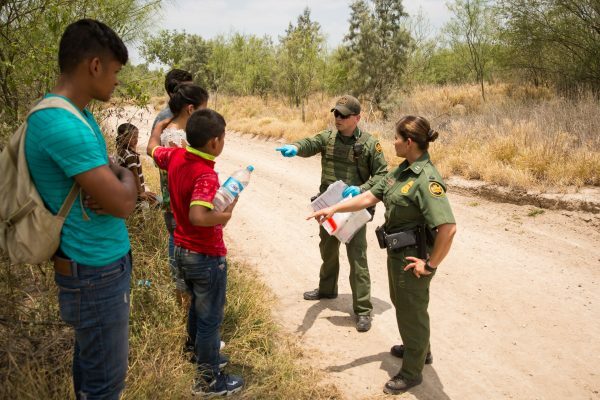 They say if the work dries up for illegal immigrants—due to them being deported and their employers being charged for hiring illegal aliens—fewer people will cross the border. “The failure to enforce our immigration laws has produced lower wages and higher unemployment for American workers,” the October proposal reform states. Another priority that hasn’t been mentioned recently is Trump’s plan to strengthen the removal process and impose tougher penalties on visa overstayers. Visa overstays account for roughly 40 percent of all illegal immigration in the United States. In fiscal year 2016, 628,000 aliens overstayed their visas, according to the administration. In fiscal year 2017, ICE received approximately 1.4 million leads on potential nonimmigrant visa violators, according to Immigration and Customs Enforcement Deputy Director Tom Homan. Only 4,023 of those were removed. Some seemingly smaller pieces of legislation were also included in Trump’s October priorities. In it, he asks Congress to fix a loophole and allow ICE to retain indefinite custody of illegal aliens whose home countries will not accept their repatriation. “Every year, tens of thousands of illegal aliens—some traveling with their parents—are caught after illegally crossing the border, only to be quickly released into our country,” the White House said in October. Trump said at the time that he wants to amend current laws that require authorities to release these illegal aliens en masse into the United States. The number of unaccompanied minors removed in fiscal year 2016 represented approximately 4 percent of all unaccompanied minors released into the country that same year, according to the administration. Asylum fraud needs to be fixed, as does the huge backlog in asylum cases, Trump said in October. The White House plan to be released on Jan. 29 should clarify the current White House position on immigration. If a deal on DACA is not made, there are currently no consequences for the 700,000 recipients. Although Trump ended the program on Sept. 5 last year and gave Congress until March 5 to come up with a permanent solution, a subsequent court ruling has allowed renewal applications to continue indefinitely. The case is due to be heard in the Supreme Court in the next several weeks.